Giveaways during pre-game/halftime/post-game: Super Bowl logoed wearables, official NFL jerseys, and many other assorted prizes. 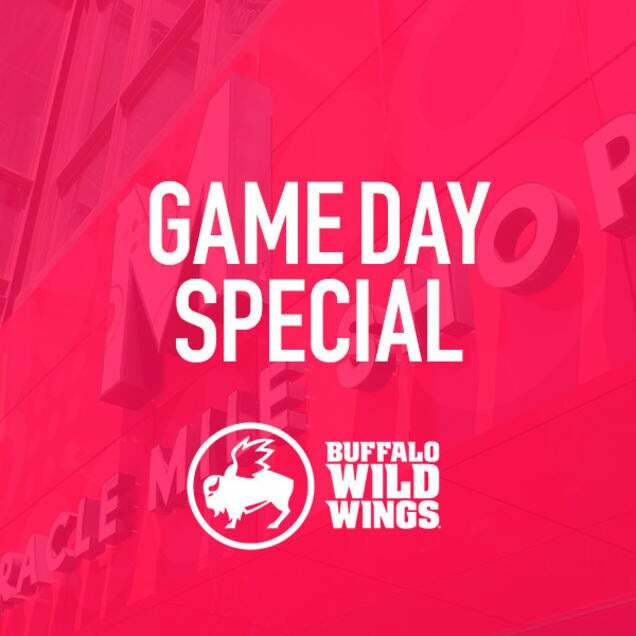 Purchase of $125 Buffalo Wild Wings Gift Card per person required to reserve a seat. Gift Card can be used for food and drink during the game.